In an attempt to be crafty for my mother-in-law's birthday a few years ago, my husband and I used an at-home plaster kit to make a decorative print of Big Sister E's hands. The result? A gritty, bumpy, uneven gray slab that is nice enough to keep... out in the yard. It's the thought that counts, right? Had I known there was another way to preserve the memories, a way to create a beautiful keepsake that would be high quality and gorgeous and worthy of displaying in any room of the house, I would have chosen that route instead. Because if I had known that the amazing creations from By Baby are stunning enough to last a lifetime, our gift would surely have been treasured for just as long. Their full names are on the actual piece and the font is perfect. Just the right combination of cute and classic. By Baby is a small, mom-owned business that captures children's hand and foot impressions in ceramic clay and handcrafts them into a unique, high-quality keepsake that any parent or grandparent will love. Whether you are creating a print of one child or siblings or making adorable ornaments or the most unique birth plaque (order one and bring it to the hospital with you! ), By Baby is the place to go for premium gifts for yourself or others. Fully customizable and extremely easy to use, the impression-making kits you receive after ordering from By Baby are mess-free and a lot of fun to use. Instead of the sloppy mixing that we used on our own, this kit came with clear instructions and multiple containers of soft, child-friendly modeling dough. Instead of me stressing about chalky plaster getting everywhere, both Big Sister E and Little Sister B were more than happy to help roll out the dough and press their hand directly into their own section. When we needed to retake Little Sister B's (due to her having too much fun smooshing the dough), all that was required was to roll it back into a ball and flatten it out once again. There is definitely mom ingenuity behind these kits! After zipping the imprints in plastic bags and packing them neatly into the provided box, I sat down to choose between all of the wonderful personalization options for my Sibling Print. 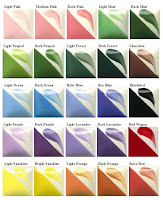 By Baby doesn't just allow you to add in your child's name, you have a great array of options when it comes to the shape, layout, font, text, print colors and even the ribbon to adorn your print. You can add upgrades such as polka dots, stripes and any number of cute icons. After mailing off my selections and impressions to By Baby, the only thing left to do was wait. In approximately 6 weeks, our Sibling Print arrived, safely-wrapped and in pristine condition. After having seen the samples online, I had an idea of what this would look like but actually seeing the keepsake in person is another story. The details are amazing! Along with turning my choices of shape, font and more into a beautiful print, even the small aspects are pretty incredible. Each little line in my daughters' hands is shown and the depth of the 3-dimensional ceramic is just right. I love the way the colors go together perfectly and the shine off of the piece grabs your eye and makes you want to examine it closely. When my husband first saw it he commented on how well it had turned out, which is an extreme rarity for him. Thumbs up, By Baby! One lucky person will win a Double Print Keepsake* from By Baby! ARV $67! *The prize will be awarded in the form of a gift certificate, so the winner will also have the option of putting it towards a different By Baby item, if preferred. To enter to win: Visit By Baby, browse their wonderful selection of products and tell me which one(s) you would like to own or give as gifts. 1 Extra Entry if you tell me about a favorite keepsake of any kind that you have or would like to own. 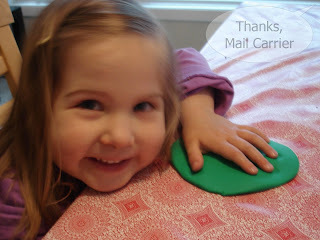 3 Extra Entries if you blog about this giveaway linking back to Thanks, Mail Carrier and By Baby. Please leave an address where it can be found. Giveaway will end on May 27th at 11:59pm CST. Do me the favor of leaving an email address or making absolutely sure it is visible in your profile, I have to have a way to contact the winner. The winner will be chosen by random.org and announced here as well as emailed and will have 48 hours to contact me or respond to notification or a new winner will be chosen. This giveaway is open to continental U.S. residents only. A big thank you to By Baby for providing a Sibling Print Keepsake for me to review as well as a Double Print Keepsake for one lucky giveaway winner. The opinions shared are my own and honest and if you really need to see more, click here to see how I roll. I have been really wanting to do this for my daughter!! 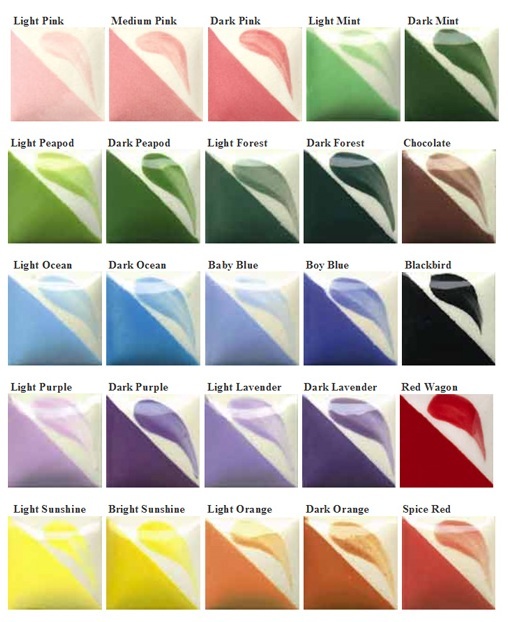 I would choose the double print keepsake! 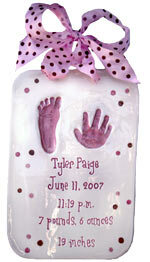 I would really like this keepsake, it is such a cute way to remember those tiny hands and feet! I would love the sibling print for my boys!!! My favorite keepsake is mt photo books i've made with our family pictures in them. I love the Garden Stone with the multiple footprints! There are so many keepsakes that my children have made me (usually in school)... The Christmas ornaments are my favorite! I love their garden stone!! My favorite keepsake that I have from childhood is this little wooden heart that my dad carved and wrote my initials on!! My favorite keepsake is the tattoo that I got on my back. It is of my daughter's newborn footprints, her name, and DOB. I love it! i would love to have a photo canvas as a keepsake...with my siblings and me. I commented to my husband just yesterday I wanted to do this with our baby! I have a keepsake of my 1st son's first Mother's Day with a handprint that they did at his daycare. It's precious! I also love the family garden stone! I don't have any keepsakes really, so this would be a nice start! I would love the Double Print for my little girl. I would love the Family Garden Stone for my family. The handprint and footprint kit would be a great shower gift. Each of my children received a beautiful blanket from a friend's mom that she made. I will keep them safe to give them when they get older. Entered the Eleven Collection Giveaway. Entered your Sophisticated Baby Gifts gift certificate giveaway. The name plaques would be wonderful on the kids bedroom doors. What a cute shop! Follow and tweeted http://twitter.com/KiddiesCorner/status/13463359326 Hope your trip is going well! I love the family garden stone! I am a grandmother to an 11month old little treasure and for christmas they got me a plaque with her tiny feet print on it and it says "I love my Nanny" on it. I like the Garden Stone with the multiple footprints, we'd give it to grandma! My great-grandmas wedding ring is a keepsake to me. She past away but I'll cherish the ring forever. I entered digital keychain giveaway! I like the birth plaque. I like the Double Barrette Holder. My girls would love it! My favorite keepsake is the hair from each of my kids' 1st haircuts! I still have the ceramic baby shoes that were on my son's Christening Cake. I've entered your Oster Blender givaway. I've entered your Sanitizing Wand givaway. I've entered your Digital Kitchen Scale givaway. I've entered your Inner Goddess givaway. I've entered your Princess Couture Designs givaway. I've entered your Eleven Collections givaway. I've entered your Digital Photo Keychain givaway. I've entered your Sophistical Baby Gift givaway. I've entered your ZooShoo givaway. I have a cute garden stone in my mom's garden with my name on it. I like the Sibling Prints, but the Ornaments are lovely, too. I have a large pin-on button of my daughter's beautiful smiling face from her school one year. I'll always keep it. I would love to have the sibling print. I'd love to give a Single Picture Holder as a gift! My favorite keepsake is a picture frame with the months of our little one changing and growing! I entered your EatSmart Precision Pro Digital Kitchen Scale giveaway. I entered your Eleven Collection Shoes giveaway. I entered your Cascadian Farm giveaway. I entered your Sophisticated Baby Gifts giveaway.